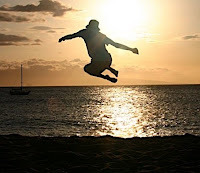 Worship Matters: Do you Follow? I'm reading through the Bible at a 2-year pace, meaning right now I'm in the book of Numbers. I have to admit, at times I've been "skimming" parts of Numbers...but today, this passage from chapter 9 stuck to me. 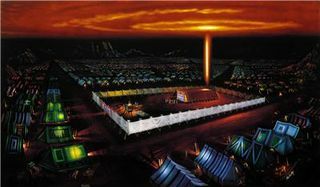 Here the Israelites are in the desert, and the cloud representing the presence of God, hung over the tabernacle. Whenever the cloud was over the tent, they stayed put. When the cloud lifted, they packed up and moved out. Sometimes they stayed two days, sometimes a month, and sometimes a year. The questions immediately flooded to me - would I, am I as obedient to God's plans for my life? When He says "stay and wait," do I stay? When He says "go," do I? The model here for us to follow is simple to understand, but hard to live out. It requires trust. Trusting God is not always easy, as oftentimes, He asks us to follow without telling us the "why" or the "where." For example - when my wife and I made the decision to leave Bothell and move to Bellingham and take the job at Northlake, there was no promise of success. There were no promises of a house to live in, a church that would follow me, or even happiness; there was no promise that I'd "flourish" and no promise that things would all go well. There was only a sense of calling - calling from God to us, to move and accept the job and trust Him for the rest. It's in following God in the small things that gives us the courage to follow Him in the big things. The key? The key is living a life that is patterned by following Christ in Everything.